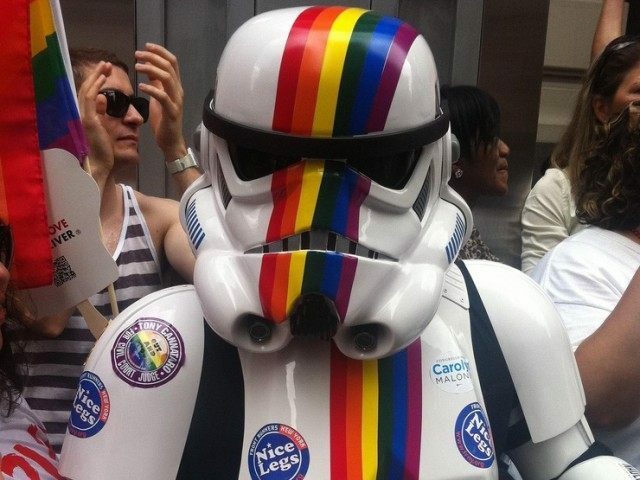 Last month, Star Wars: The Force Awakens director J.J. Abrams said it was only a matter of time before the Star Wars universe incorporated a gay character. At the U.S.-Ireland Alliance Oscar Wilde Awards last month, Abrams said it was inevitable that a gay character would appear in the Star Wars universe. The next installment in the long-running and massively successful film franchise is due to arrive in theaters in December 2017, with Rian Johnson (Brick, Looper) taking over directorial duties from Abrams. Abrams has been outspoken about the need for Hollywood to increase the diversity of its talent in the wake of the #OscarsSoWhite controversy. In an interview with the Hollywood Reporter earlier this month, Abrams said his production company Bad Robot would team with its agency and studio partners to ensure that women and minority talent are submitted for job opportunities based on their proportionality to the U.S. population. Hamill will reprise his role as Luke Skywalker in the currently untitled Star Wars: Episode VII.